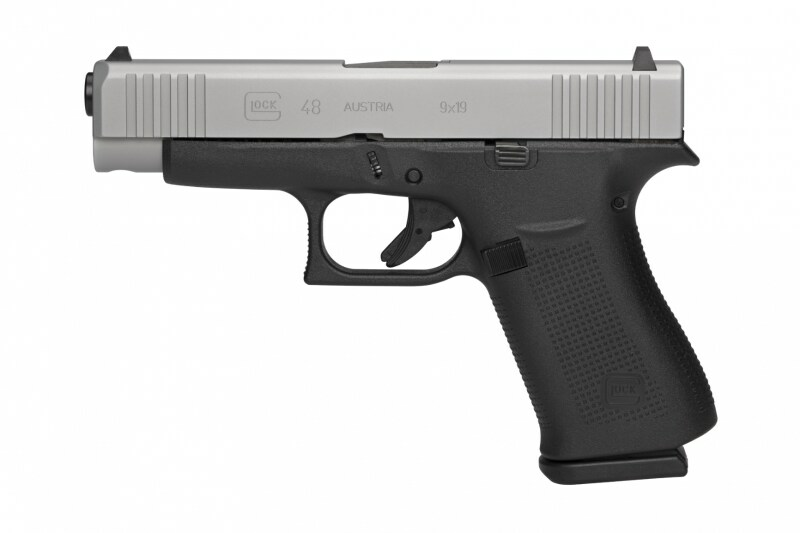 Introduced in 2019, the Glock G48 is a semi-automatic compact handgun that combines comfort, value, and desirable features with the reliability of Glock. Chambered in 9mm with a 10+1 capacity, this pistol is made with a slimline frame, match-grade Marksman barrel, and a textured grip, while the frame and slide sport a silver nPVD finish for added durability. Other features of the G48 include front serrations, built-in beavertail, and reversible magazine catch.